Galway East Tourism - Castlepark Equestrian in East Galway, West of Ireland.Galway East Tourism - Castlepark Equestrian in East Galway, West of Ireland. 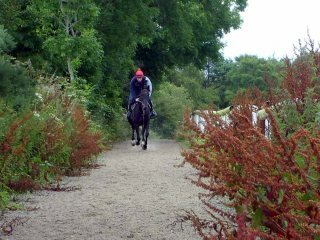 Castlepark is a friendly, scenic riding centre, located just two miles from Tuam. Facilities include trekking, professional all-weather gallops for advanced riders, show-jumping and cross country. Transport to and from the Equestrian centre can be arranged for groups of 5+.